You are here: Home › #oklaed › Doctor Who and the First Nine Weeks of School! 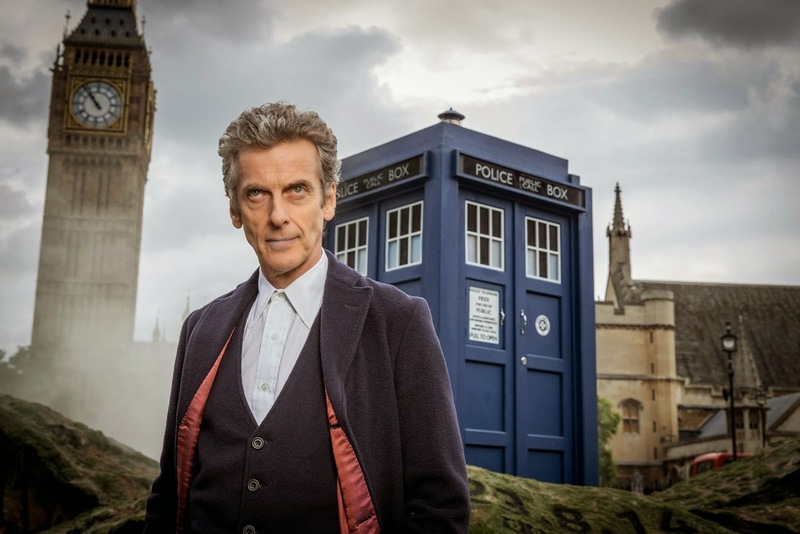 Doctor Who and the First Nine Weeks of School! If you haven’t seen an episode of Doctor Who, then you are missing out. The Doctor has lived for hundreds of years, acquired knowledge through experience, asks questions, seeks answers, teaches and leads his companions, saves the world (many, many times) and every so often, he passes from one body and is regenerated in a new one. When this happens, its like he is experiencing some things again for the first time. He brings a different attitude, different questions, and different personalities, but he is still leading, learning, asking, saving. The Teacher (me) has taught for a long time (not as long as some and longer than others). The Teacher has gained knowledge about teaching – first as an undergrad, then as a graduate student. The Teacher has also learned from years of experience and acquired even more knowledge through those experiences. For example, when The Teacher was an undergrad, cell phones were not the whole world in a pocket. Libraries had books for reading and “online” meant that the microfiche machine was working correctly. The Teacher has asked a lot of questions about what happens in his classroom – The Teacher is constantly looking for ways to be even better, more creative, more effective. The Teacher has regenerated a few times going from a new teacher in Guthrie, to a whole new set of expectations in Olathe, to a flipclass and gamification classroom model in Edmond. Each time The Teacher has regenerated, there have been numerous questions posed to his companions (in this case it was other Teachers) – to ensure that The Teacher was doing the best he could. The Teacher had to learn how to use an iPhone (where were these when The Teacher was younger). He did not learn about these in a class. He did not seek out extra PD. He took a step and learned on his own. The Teacher sought out what he needed to lead his Companions (and save the world). The Doctor has a sonic screwdriver to open doors and investigate things, The Teacher has #edtech! The Doctor always has a Companion(s) when he is busy saving the Earth/Universe and every so often the Companion(s) change. 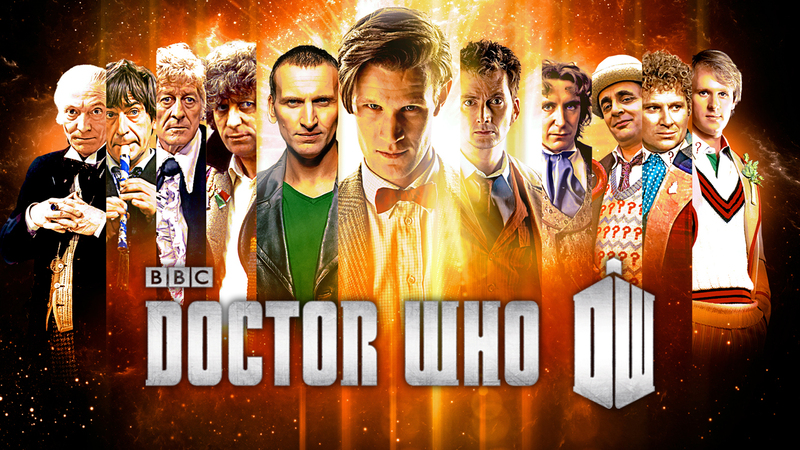 Although The Doctor is quite capable of saving the Universe on his own, his Companion(s) make a huge difference. The Companion(s) benefit from the journey to save Earth, they learn more and more about themselves. The Companion(s) learn to face their darkest fears, they learn to handle very high pressure situations, they truly come to understand teamwork (each person has a special place to fill), they learn to be brave and courageous, and along the way The Companion(s) pick up some really cool stuff from The Doctor. The Teacher has had numerous companions in the form of students. Every year Companions move on and new ones take their places. Sometimes some of those Companions get The Teacher for a second journey (this is similar to a companion getting two seasons instead of one)! 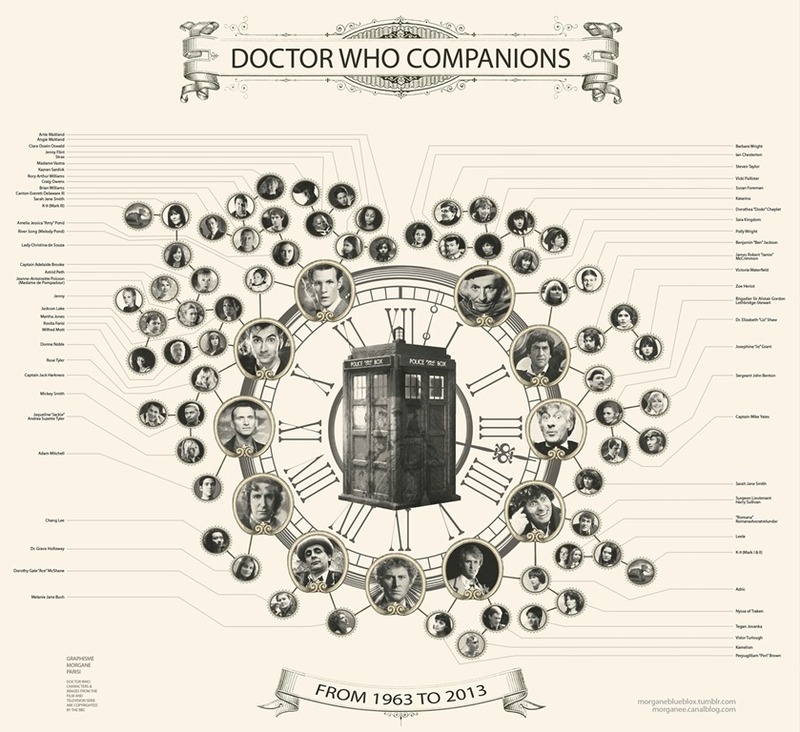 Some of the Companions have been brilliant, some of them not so much, but all of them have made an impact. Each of these journeys has been unique, yet similar. Companion learning happens, growth happens, and hopefully the Companions are thankful for the journey. Sometimes the Companions face very difficult challenges on their own (ask them about the trig test – super difficult), sometimes they just need to work together (group quizzes), sometimes The Teacher needs them to do some things on their own (independent practice). The Teacher is hopeful that the Companions have learned more about themselves after the journey together. That they have faced difficult things and overcome them. That they have learned the value of teamwork and accepting their unique rolls in that team. These are important skills for the Companions to have as they grow into young adults and become contributing citizens. And lastly – maybe the Companions developed a love for math that they did not know previously existed! T.A.R.D.I.S. = The Teacher’s C.L.A.S.S.R.O.O.M. The Doctor uses the T.A.R.D.I.S. as his way to travel through all of space and time. He has occasionally crossed into different dimensions. The T.A.R.D.I.S. is treated as a living breathing thing. The T.A.R.D.I.S. is way larger on the inside than it appears from the outside. The T.A.R.D.I.S. 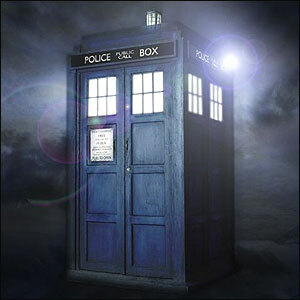 gives shelter to The Doctor and his Companion(s). It can be moody. It sometimes does not work right. It needs The Doctor. The Teacher uses the C.L.A.S.S.R.O.O.M. to go through the entire school year – The Teacher spends quite a bit of time here (probably too much if you ask The Teacher’s family). The C.L.A.S.S.R.O.O.M. crosses over to the festive dimension every year during winter holiday season (stay tuned for pictures). The C.L.A.S.S.R.O.O.M. is a living breathing thing, it needs to be taken care of, its old, the AC unit makes a horrible noise when it turns itself on. It can be hot or cold, depending on its mood and The Teacher has no control over some of these things. The C.L.A.S.S.R.O.O.M. is way bigger on the inside. Each day the Companions and The Teacher hold the ENTIRE WORLD IN THEIR HANDS! When The Teacher was younger, his classrooms had four walls and chalkboards – on occasion something from the “outside” would be shown (in the form of VHS tapes – anyone buy a Beta? Just us? Oops…). Not anymore! This C.L.A.S.S.R.O.O.M. can be really amazing – you can walk into a small space and see the entire universe – this never gets old – and it is just too cool! The C.L.A.S.S.R.O.O.M. protects us from the winter snows and the spring rains. In times of turmoil in the lives of the Companions the C.L.A.S.S.R.O.O.M. is a refuge – a place where they know they will be welcomed and cared for. A place of shelter in the middle of the storms that can swirl about in the lives of teenagers. And although sometimes the C.L.A.S.S.R.O.O.M. can be a bit moody (as can The Teacher), it NEEDS The Teacher AND The Teacher NEEDS the C.L.A.S.S.R.O.O.M. These two entities form a relationship where one cannot work without the other. As long as there is a C.L.A.S.S.R.O.O.M., there will be a TEACHER who needs to use it. One Response to "Doctor Who and the First Nine Weeks of School!" That’s really interesting! Haha, I’ve never thought about school that way (or Doctor Who that way), but I certainly will now.